Anyone wanting to use the Yantra can draw it as shown in the image included in this post on white paper with the paste of Konch Seeds [ these seeds are known in the English language as Bengal or Florida Velvet Beans, the botanical name is Mucuna Pruriens] using a pointed wooden stick. 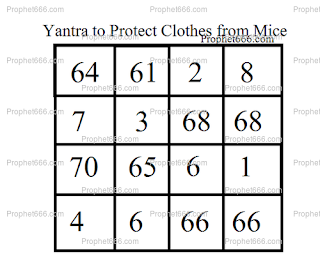 Then the prepared Yantra should be kept in the cupboard or the place where clothes are usually kept. Notes- Velvet Beans have been since long been used in traditional Indian medical like Ayurveda for treating a wide range of diseases and ailments, including snake bites. They are also consumed as a strength and energy booster. 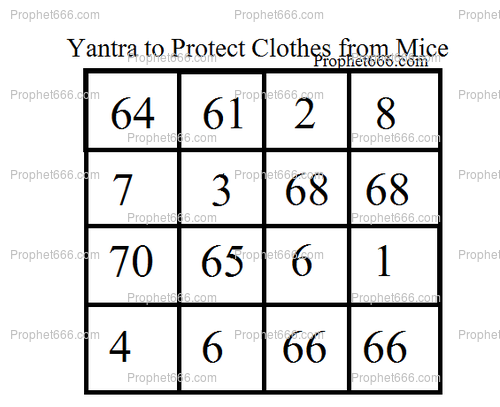 This is a standalone Yantra and is free from any kind of religious ritual, worship or Mantra-Tantra and can be prepared on any day.